The Cavedesgrandsvins.fr website is not a simple and anonymous webshop added to a multitude of other sites selling wines. This site is based on a 20 years proven expertise in selling and advising on the choice of wines and spirits. "The Cave des Grands Vins" offers more than 500 different wines selected from the most prestigious areas of Burgundy, Bordeaux, Rhone Valley, Loire, Champagne, and also great wines from outside France. In addition, our stock and the direct relationship that we have built over 20 years with the largest winemakers of Burgundy (Comtes Lafon, Domaine Leflaive, Domaine De Vogue Domaine Rousseau ...) and the Rhone Valley (Domaine Chave, Domaine Guigal ...), enables "The Cave des Grands Vins" to offer the most competitive prices. Our role is to guide you and to advise you. In our cellar, each wine comes with a very detailed information sheet including ratings by the leading experts (Robert Parker, Wine Spectator, Stephan Tanzer, Allen Meadows ...) and supplemented in many cases by our own tasting appreciations. We strive to satisfy you. If you want more information or advice, contact us directly or leave us a message and we will call you back. Detailed information (vine, flavor categories, vintage, bottle size ...). - Use the "Search for a wine by…" menu and discover the wines suggested according to your needs (Vintages, Food and Wine Pairing, ...). 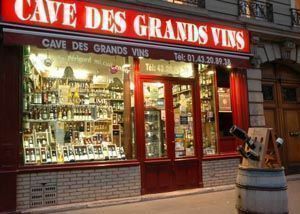 Cave-des-grands-vins.com provide a large choice of rare wines , wine grand cru, great wines. Cave des Grands Vins online web merchant : Great wines Burgundy : Domaine Comtes Lafon wines, Domaine Dauvissat wines, Domaine Sauzet wines.